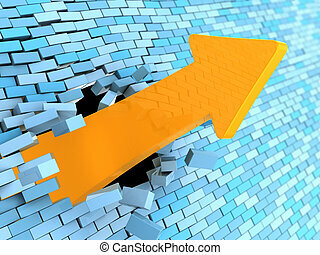 Arrow breaking through wall. 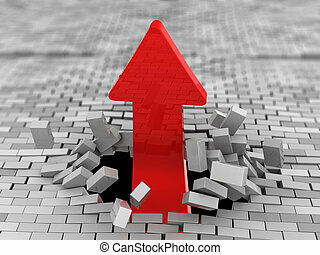 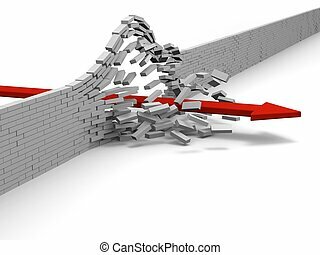 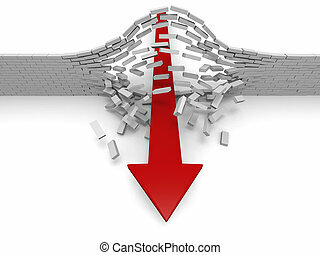 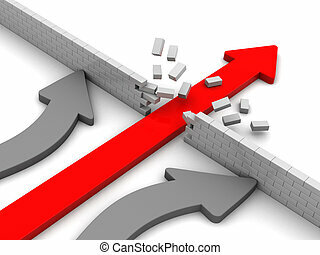 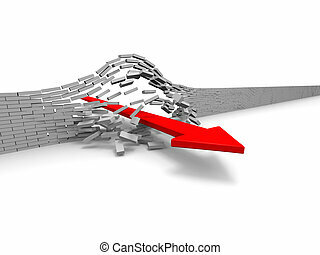 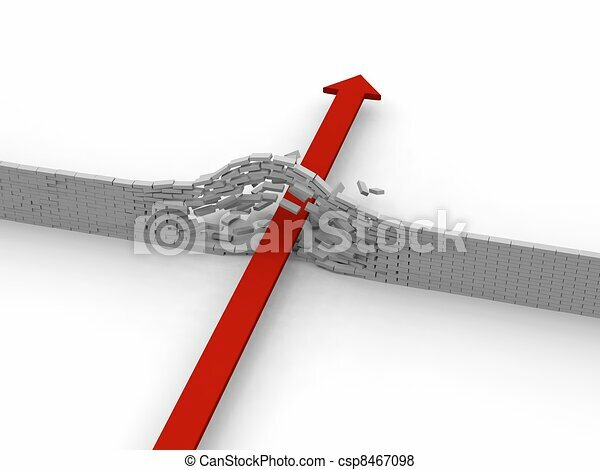 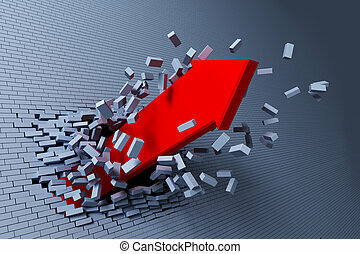 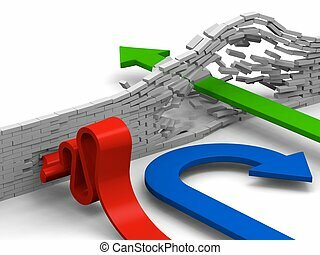 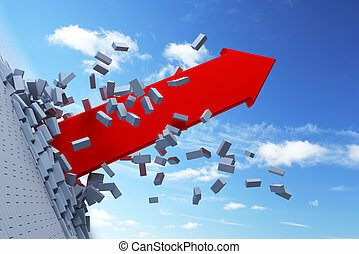 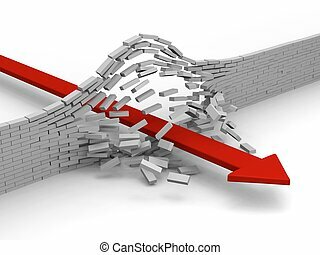 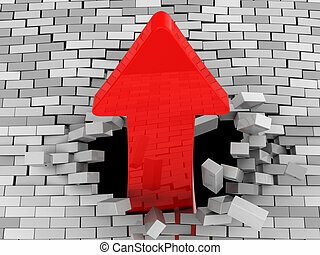 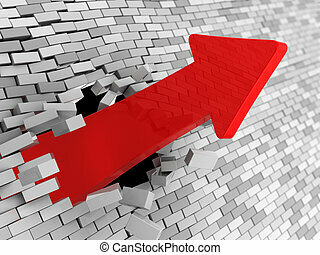 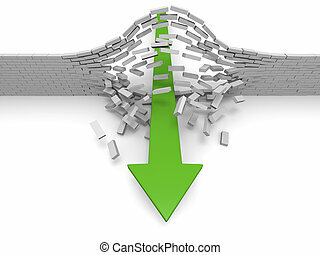 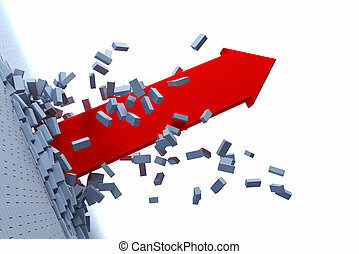 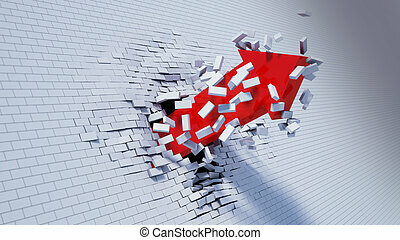 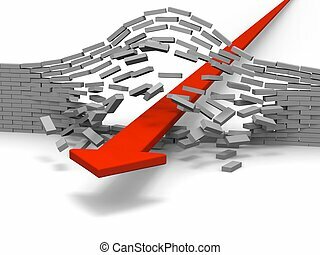 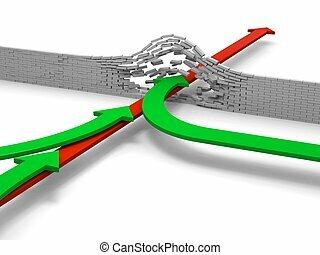 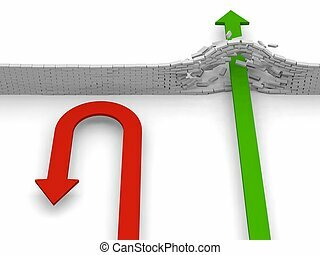 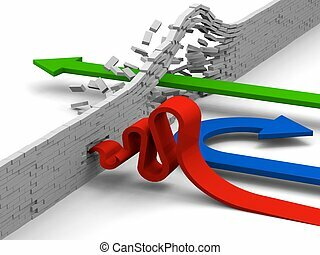 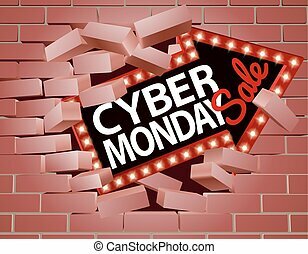 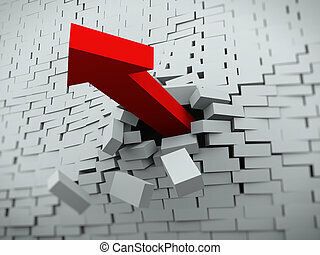 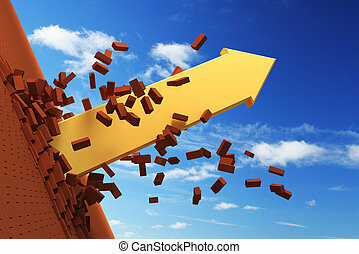 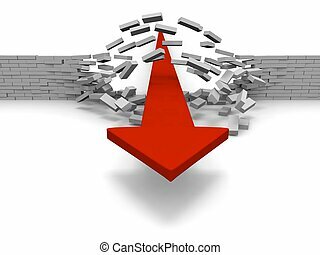 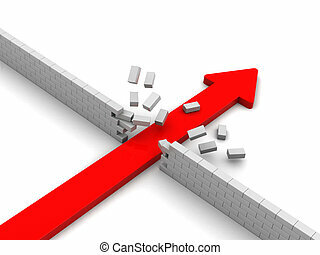 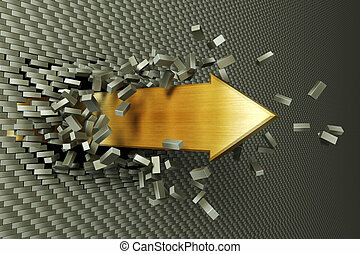 Red arrow breaking through brick wall, concept of success, breakthrough, achievement. 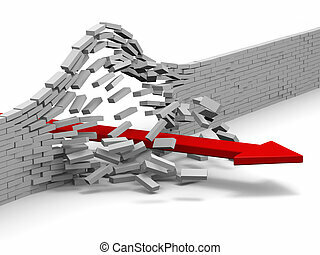 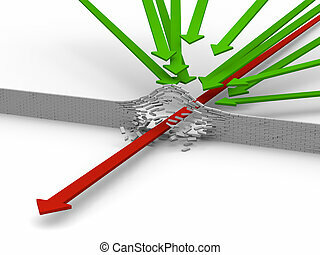 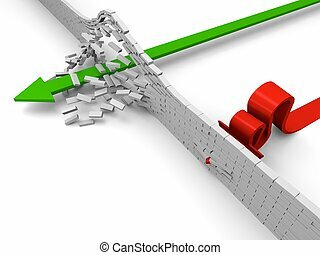 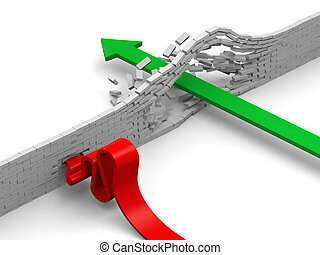 Concept of breaking through obstacles, giving up or failing to overcome illustrated by arrows.